The Wooden Gallery Process™ brings timeless beauty to your cherished images. Images and artwork are presented using The Wooden Gallery Process™. With this method—developed in-house by founder Michael Desforges more than four decades ago—prints and photographs are saturated and mounted using a specifically designed acrylic emulsion. The final coats of this emulsion are hand-applied to add a beautiful texture to every image. The Wooden Gallery Process™ allows every print or photograph to be presented without glass, eliminating glare, reflection, and breakage. The emulsion, which includes UV protection, helps to bring back the colors, perspective, and depth that were present in the original and often lost in a print. The result is the nicest possible presentation of a lithograph, giclee, art print, poster, or photograph. We make memories last a lifetime. Michael continues to hone and perfect the craft of print presentation. He takes great pride in the process he developed and the work he creates. 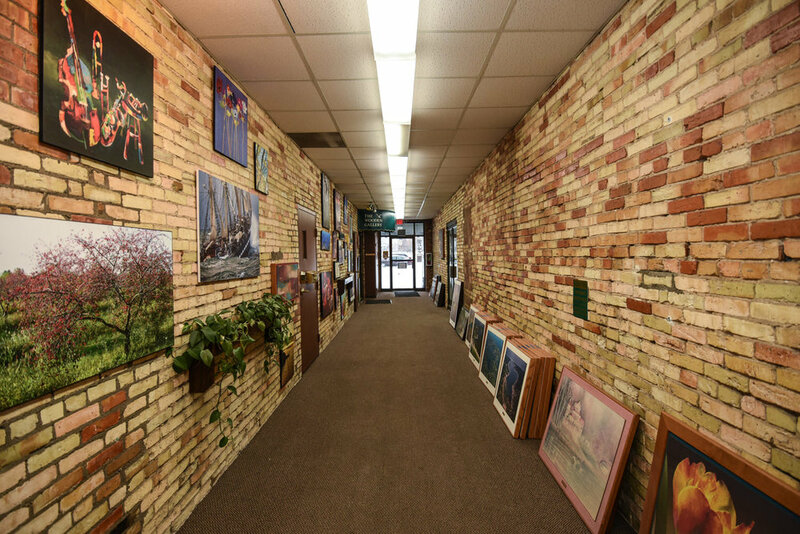 Each order placed with The Wooden Gallery—from image to presentation—is handmade by Michael and his team of talented craftsmen in their Traverse City, Michigan gallery.